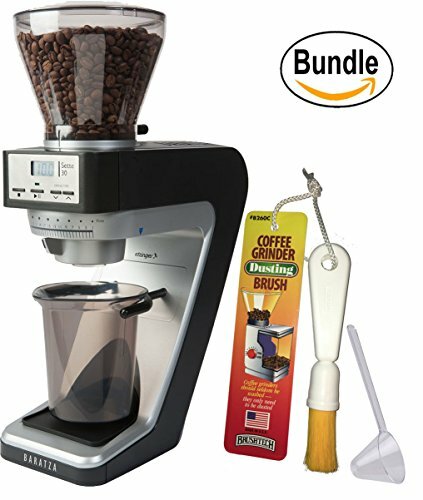 Entry level coffee grinder works great with basic and advanced espresso machines. Speed to grind for fine: 3.5g/sec / coarse: 5.5g/sec Features a macro only adjustment for grind size, which allows for 31 steps of adjustment Incorporates the same AP burr, designed for the high end Sette 270/270W grinders The hopper holds approximately 10oz (300-400g) of coffee. An innovative bean shutoff feature in the collar permits no-mess, no-fuss hopper removal for changing out beans.